sailboat. 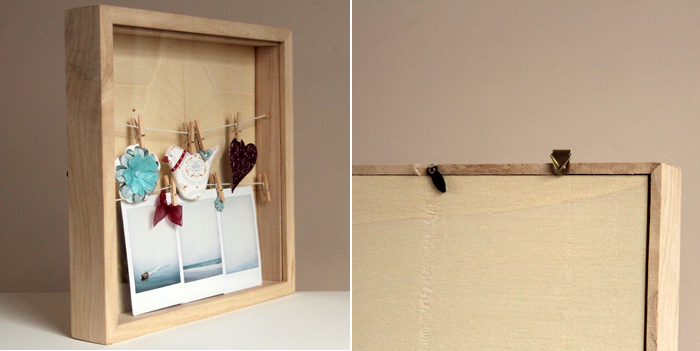 : Home: Box Photograph Frame with Sweet Mini Pegs! Since purchasing our home, all things decor have been spinning around in my mind at a hundred miles an hour; choosing paint colours, there are SO many colours; trying to fix the things that inevitably go wrong, especially when it's an older home; measuring for curtains & trying to find the perfect colours. None of these things come naturally to Mark and I, but although sometimes it can feel like a bit of a battle trying to get things done, it's a good battle and we realise how incredibly lucky we are to have our own home at this point in our lives. Ignoring little niggles here and there (I don't even look in the spare room anymore, I'm leaving that until any sailorbabies are on the horizon), we're getting there and we're at the point where it's time to fill our home with furniture (hello expensive!) and art work, to make the walls come alive. Turns out, we have a lot of wall space, and finding art & getting our own photographs printed has been one of my favourite parts of our home journey so far. Charlotte from Charlotte Musha has her own online craft shop called Musha-Makes and if you love all things crafty, I think you should take a look! She very kindly sent over one of her Box Frames* with the sweetest little pegs I've ever seen for me to attempt to create something pretty. 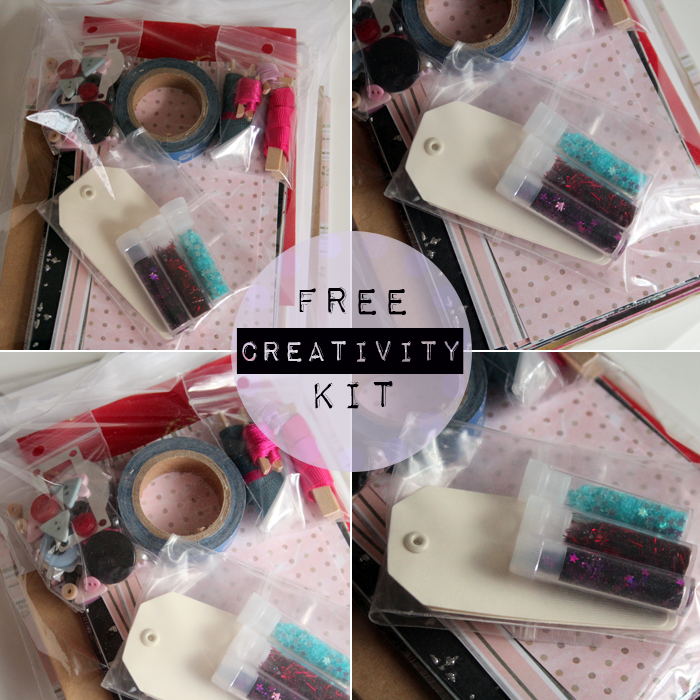 She also included a creativity kit, which you can get free with any order while stocks last, if you mention you would like one in the comments box at the checkout! Inside there are lots of goodies, from pretty paper & sweet little buttons to ribbon & little pots of glitter! 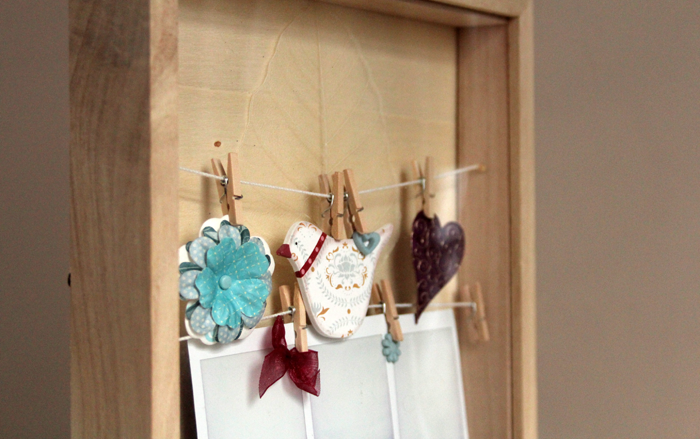 I knew I wanted to display some of my instax photographs, so I chose three of my favourites and then used some of the pretty things I found in the creativity kit as well to personalise it a little more. I'm not exactly sure what I'm going to do with the outside of the frame yet because I've not decided which room it's going to live in. I might paint it white and sprinkle some of the glitter over, I'm determined to get some glitter in there somewhere! It stands up perfectly by itself, which I love, but there's also the possibility of hanging it up on a wall because the fixtures are already there. These are £4.50 each, which is super affordable and I think they're so lovely because not only is it good to be creative sometimes, I think adding some pictures and personal things to one of these as a gift for someone would be so sweet! I think I'll be making an order very soon with another one of these frames and these sweet mini house shaped shelves and maybe a couple of other things too because everything is so cute! Don't forget if you make an order, mention you would like one of the creativity kits in the comments section at the checkout! They're only available while stocks last & they're packed full of lovely things! Would one of these be something you'd like to have in your home? Love the idea!!! It's so so cute! This is adorable!! Love the 3D look. Can't wait to see more homely posts! Wow this really is such a lovely idea! This is such a cute idea! Sucker for mini anything.. those pegs! This is such a lovely idea! Very cute! 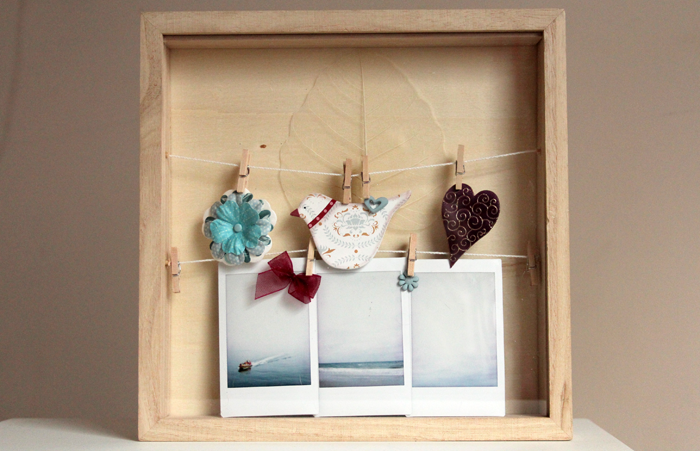 And that box frame is such a fun idea! This is creative, I'm really into this sort of thing! Thanks for linking the creativity kit! What a lovely little idea, I bet you have a super pretty home. That is adorable! and so creative! Such a cute idea! Such a cute idea and so affordable! The free creativity kit sounds like fun :) I love what you came up with! This is adorable, I love what you've done with yours. I'm sorely tempted to get my stepdaughters one each for Christmas to make and hang above their beds, I'm sure they'd love them :) They're so reasonably priced, too! This is such great value for money. I've always loved everything shabby chic so I was so inspired reading this post. Ooh you could put some of the glitter on the white back petals of the flower, maybe a little bid fidly but it will add a little bit of sparkle to the box frame, just an idea! It looks cute. And I love that creative kits. that is such a decoration, really is lovely, I need something like that in my house!